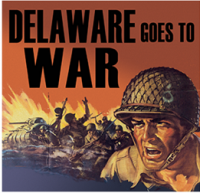 The annual Delaware Goes to War Open House will take place this year on April 27th from 10AM-4PM. The Fort Miles Museum located inside Battery 519 will be open throughout the event and staffed by FMHA docents as well as historical interpreters in World War II uniforms demonstrating the use of an artillery plotting table and other duties relating to combat readiness. Historical interpreters from the 261st Coastal Artillery will also be on hand throughout the Fort Miles Historical Area hosting demonstrations and displaying WWII vehicles and equipment. For WWII buffs and our loyal members, this is a must attend event.